This unique resource contains professional theatre, music, and dance performances from around the world that correlate to the SRA Art Connections and Theatre Art Connections programs. 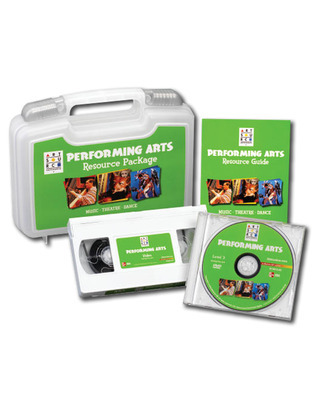 Created with the Education Division of the Music Center of Los Angeles County, each package contains audio and video performances (in both VHS and DVD format) as well as a Resource Guide with background information, discussion questions, and suggested activities for each performance. Additional activities in each unit of the SRA Art Connections Student and Teacher Editions help students connect the Artsource® performances to visual art concepts. A variety of dance, drama, and music selections allow students to learn from many different cultures and traditions. Classroom activities provide opportunities for students to demonstrate their own creative abilities.